Half & Twice is a studio of young creatives in love with design. We like to collect nice things, host LW&D Madrid and meet cool people: Have a look! 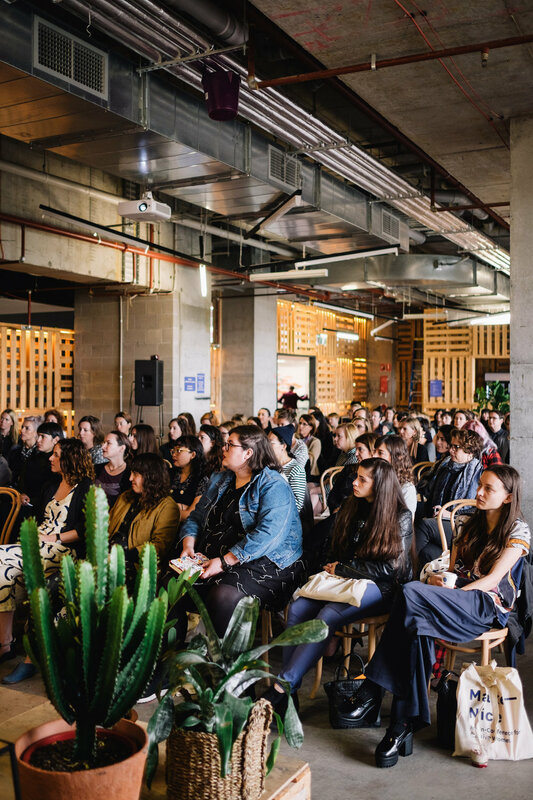 Ngaio Parr (pronounced nigh-oh) is an illustrator, multidisciplinary designer, teacher, and curator based in Sydney. A pretty accomplished, but we could add a couple more titles: lovely person, and director of Make Nice: a global platform for creative women runs an online community and organizes real-life events. 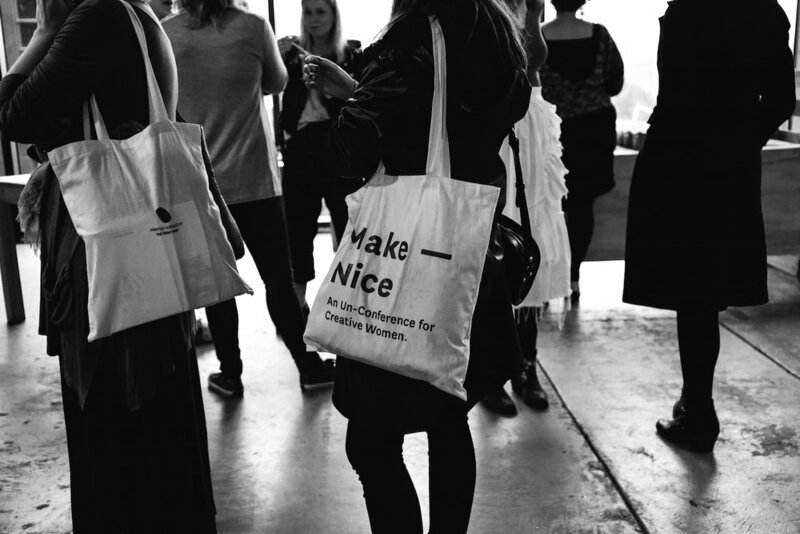 You may have heard of Make Nice, they interviewed our director Paloma Avila, and it was a thrill for us to finally get a chance to speak to the woman behind it. It turns out, she shares a lot of our views on design, entrepreneurship, and the role of women in the creative industries. What have been the major milestones in your career? I did my first degree in Fine Arts, and it has really shaped the way I think and work. The open curriculum really valued self-teaching and has taught me to follow my interests, to think (and write) critically, and that outside the comfort zone if where good things happen. Another would be working as the gallery manager for a renown private gallery in Australia, as I was able to surround myself with artists and thinkers who were like me. For a similar reason, my exchange at the Rhode Island School of Design during my second degree was also illuminating and made me feel like I wasn't alone. The time at RISD still informs how I structure my day, my design process, my critical thinking, and how I teach. In my studio, I've had the great pleasure to design and illustrate for some of my dream clients - working with people who respect you and you respect greatly is just the best feeling in the world. 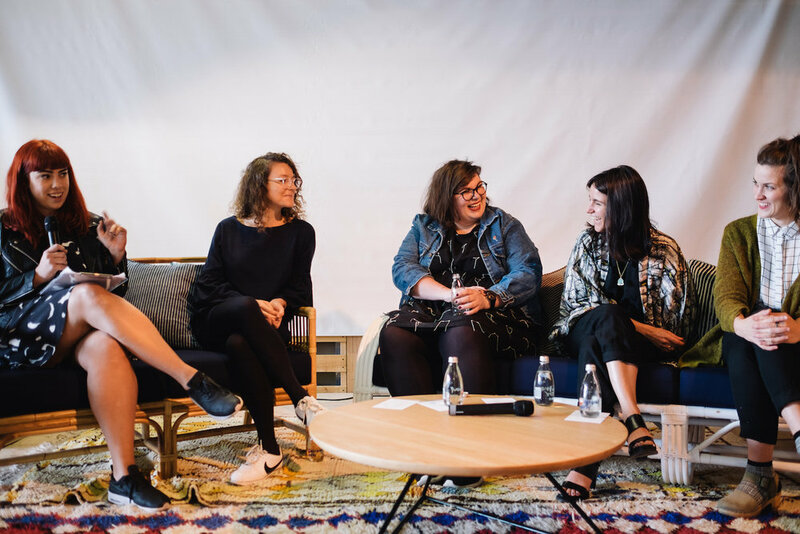 Finally, I'd have to add sitting back after the inaugural Make Nice Un-Conference and feeling so humbled that so many women came together to make it more than I've ever dreamed. I'm not sure it was a particular experience, but rather the culmination of my childhood interests and lifestyle that led me down this path. I lived in a country town where I was outside a lot, and encouraged to make and create things instead of consuming media. My favourite toys were crayons and empty packing boxes. I also read a lot as a child, and I think that developed my real love of knowledge and learning at the young age - something that keeps me unsatisfied and ready for more information at any time. Finally, I think my parents raised me to be strong and believe in my abilities - something that, without them realising, led to my becoming a strong feminist that stands my her beliefs in life and work. 1. How much of your day do you spend working? Between 6 and 10 hours, depending. 2. Where is your ideal work environment? My home studio near the beach. 3. What do you hope to get across with your work? Love, Kindness, and Rock N Roll. 5. What's the secret to a successful day's work? Starting early, and knowing when to stop. 6. Is there anything in your life that you can't live without? No thing. But my loved ones - they are for keeps. 7. Is there anything about you that people might not know? If I listen to a song I must know the lyrics. 8. What would be your dream project? Designing a boutique hotel top to bottom - graphics, tone, interiors, events, music supervision, furniture, food. 9. What is the most time-consuming aspect of your work? 10. What legacy would you like to leave behind?